Below you fill find all funeral homes and cemeteries in or near Covington. 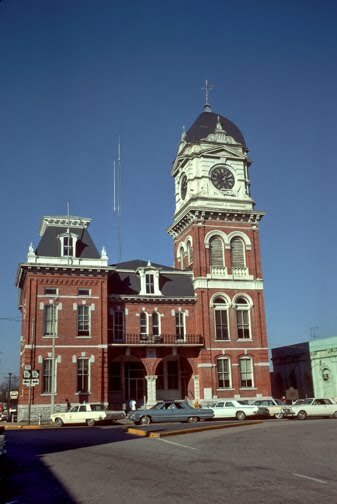 Covington is also known as: Newton County / Covington city. Zip codes in the city: 30014, 30015, 30016. Covington has been featured in films like: Halloween II (2009). Some of the notable people born here have been: Dale Carter (american football player), Jake Reed (american football player), Andy Offutt Irwin (singer and singer-songwriter), Luke Allen (baseball player), Collin McHugh (baseball player), Rebecca Napier White (costume designer), and Ellia English (actor and singer). 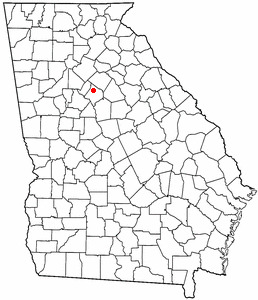 Covington is a city and the county seat of Newton County, Georgia. It is located 35 miles southeast of Atlanta, Georgia. As of 2012, its population was 13,347. It was revealed on September 25th, 2018 that Dennis "Joe" Broe died in Covington, Georgia. Broe was 67 years old. Send flowers to express your sorrow and honor Dennis "Joe"'s life. It was reported by The Times on August 7th, 2018 that James Gaddis passed away in Covington, Georgia. Gaddis was 48 years old. Send flowers to share your condolences and honor James's life. It was written on June 28th, 2018 that Ervin Douglas Reed died in Covington, Georgia. Reed was 75 years old and was born in Roanoke, VA. Send flowers to share your condolences and honor Ervin Douglas's life. It was disclosed on June 16th, 2018 that Sandra Kay Meador passed on in Covington, Georgia. Meador was 68 years old and was born in Surveyor, WV. Send flowers to express your sorrow and honor Sandra Kay's life. It was written on May 23rd, 2018 that Deborah Cullipher (Gilbert) passed on in Covington, Georgia. Ms. Cullipher was 58 years old. Send flowers to express your sorrow and honor Deborah's life. It was written on March 27th, 2018 that Shelley J Pedersen (Czarnecki) passed on in Covington, Georgia. Send flowers to share your condolences and honor Shelley J's life. It was noted on December 28th, 2017 that Larry W Shumate passed away in Covington, Georgia. Shumate was 76 years old and was born in Laurel Bloomery, TN. Send flowers to express your sympathy and honor Larry W's life. It was disclosed by The Daily Herald on November 19th, 2017 that Patricia Moore passed on in Illinois. Moore was 81 years old and was born in Covington, GA. Send flowers to share your condolences and honor Patricia's life. It was noted by Chicago Tribune on November 18th, 2017 that Patricia Moore perished in Illinois. Moore was 81 years old and was born in Covington, GA. Send flowers to express your sympathy and honor Patricia's life. It was written on July 12th, 2017 that Tracey Lynn Morganthall (Shapiro) perished in Covington, Georgia. Ms. Morganthall was 49 years old and was born in Millville, NJ. Send flowers to express your sympathy and honor Tracey Lynn's life. The city is the county seat of Newton County, Georgia County. The population was 11,547 as of the 2000 census. Covington is a city in Newton County, Georgia County, Georgia (US state) United States. Census Estimates of 2005 indicate a population of 13,856. .
Funerals in Covington, GA on Yahoo! Local Get Ratings & Reviews on Funerals with Photos, Maps, Driving Directions and more. Listing all funeral homes in Covington, Georgia so you can easily send flowers to any location (same day delivery) or find any funeral service. Caldwell, Judson - Caldwell & Cowan Funeral Home, Covington, GA : Reviews and maps - Yahoo! Local, 770.786.7042. Get Ratings, Reviews, Photos and more on Yahoo! Local. We work with local florists and flower shops to offer same day delivery. You will find budget sympathy flowers in Covington here. Our funeral flowers are cheap in price but not in value.